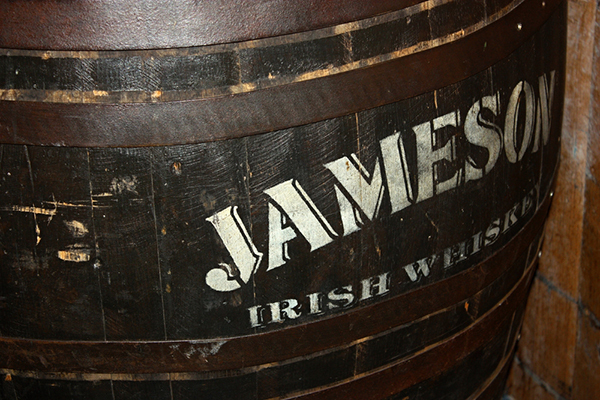 Ireland and whiskey go together like bacon and eggs, and since 1780 Jameson has been the home of Irish whiskey. The Jameson Experience in Midleton, Cork, located on the site of the old distillery in buildings that date back to 1795, offers a tour that takes visitors back through the original whiskey making process that began with John Jameson over 200 years ago, and ends with a complimentary drop of the good stuff. The guided tour takes in the old kilns, mills and malting, the original water wheel and the old warehouses where the history pours out as freely as the golden spirit itself used to. The legendary Warehouse A1, built in the 1800s as one of the first warehouses to mature whiskey from the Cork Distillery, has been fully restored to display all its original features and now houses 1000 casks of traditional pot still whiskey. Here also, the guides explain how a whiskey cask is built, from bare acorn wood to a finished container. Onsite too are the Malt House Restaurant and the Jameson Bar. The Malt House has grown into a popular local spot for lunch or dinner, serving fresh baked bread and scones, and the Jameson bar is famous for its Irish coffees and Jameson cocktails. Both are open daily from 10.00am. Whiskey lovers and novices alike can enjoy the unique experience offered by the Midleton Distillery, enjoying a step back in time with one of the the world’s premier brands and underlining why it’s one of TripAdvisor’s top Cork attractions. Jameson Whiskey is famous internationally for producing both the Midleton and Jameson & Sons brands. In the year 2013, Jameson produced 4.7 million cases. This amounts to over 42 million litres of whiskey. The United States is by far the largest market for the Jameson & Sons brand with growth of consumption in the United States during 2013 up by 12%. Midleton is located 24km east of Cork City along the E30. Bus & train services connect Cork City to Midleton while Europcar and Hertz offer Car Rental locations in Cork City.